One of the most popular manga franchises in recent years is headed to the big screen this summer! 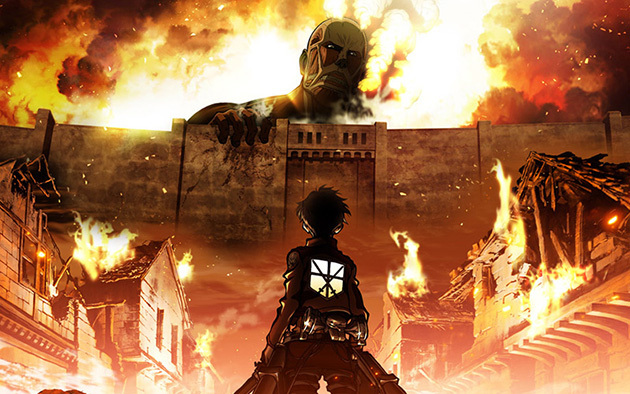 “Attack on Titan”, which is a manga created by Hajime Isayama in 2009, exploded in popularity with its anime adaptation in 2013, and will now be adapted into a pair of live-action films. The story revolves around a world where humanity struggles against giant man-eating humanoid creatures called “Titans”, and follows the story of protagonists Eren, Mikasa, and Armin in their fight for survival. The two movies, which are scheduled to release on August 1st and September 19th respectively, will take the story in a new direction not seen in the original manga and anime, and will introduce new characters and plot elements which will make the movies a fresh experience for newcomers and veterans to the franchise alike. The first teaser, shown below, also gives us our first look at the CGI-rendered Titans onscreen, remaining faithful to their drawn forms.